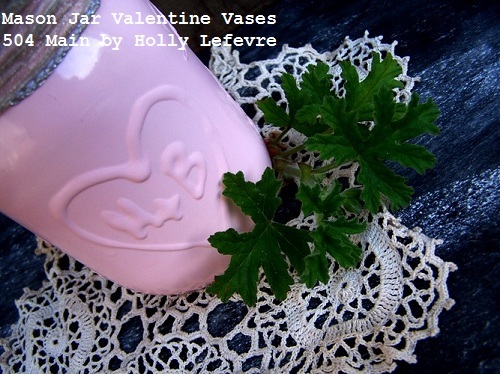 You may not believe your eyes...I have another Valentines Project! I am tickled pink with how this turned out! And there is quite a story behind it! I loved it beyond belief. It was cold and wet outside, really cold and really wet. I was not being careful - I was being impatient. well that perfect crackled and crinkled and ruined my sweet vase. I may have shed a tear...or screamed. And there was not time to start over...so I scrapped the idea. (but it may take a year...or two). using hot glue, regular glue, yarn, etc. But this is my version! The tutorial will show a different vase...because it is the tutorial form last year (and I cannot find the new photos I took of this years tutorial). DecoArt 3D Gloss Enamels. Select a color based on the final color you are going to paint the vase. 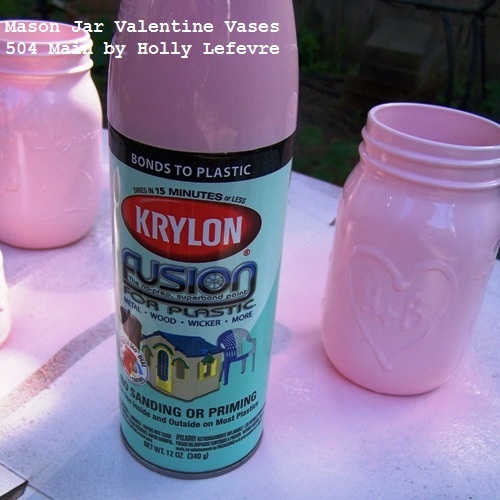 I used a light color (white and yellow) because I decided to paint my vases white and pink, so a lighter color was in order. Mason jars or other glass jars. I used some jars from Legacy and some others I had around from other projects. Newspaper/drop cloth to protect your surface. Wash the glass containers. I also wiped them with rubbing alcohol to make sure I got all the residue off. 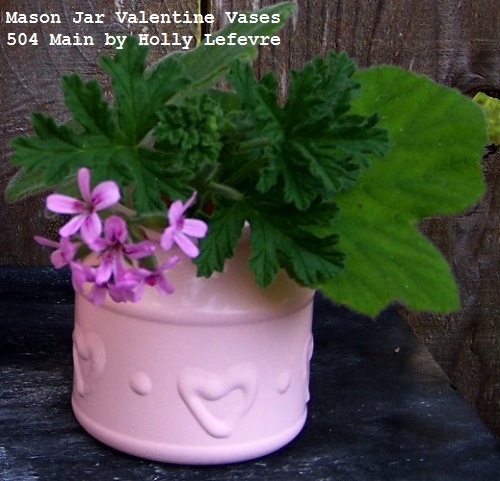 Create a design on the jar or vase. NOTE: I did this project twice, once last year and once this year (hence the different colors of gloss enamels). 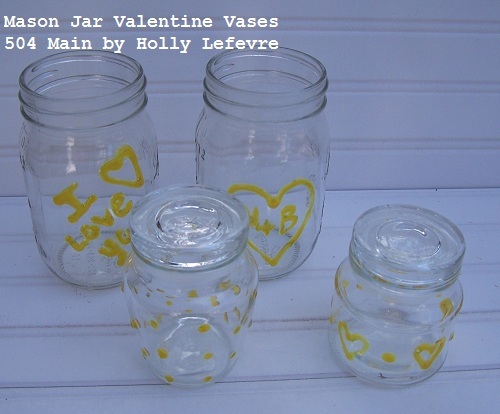 Depending on your design and how much you trust your freehand abilities, you can either draw the design on the glass with the Gloss Enamels, or as I did for one of my designs, I drew a heart on a colored paper and inserted it inside the vase. The heart showed up really well and gave me a starting point. From there I could easily "trace" it onto the glass. Once dry, you can bake the jars in the oven at 275F for 30 minutes to cure the paint and make it more durable/dish washer safe. Make sure your jars will withstand the oven. For this project I let mine dry for 48 hours. Cover work area with protective covering to prepare for spray painting. 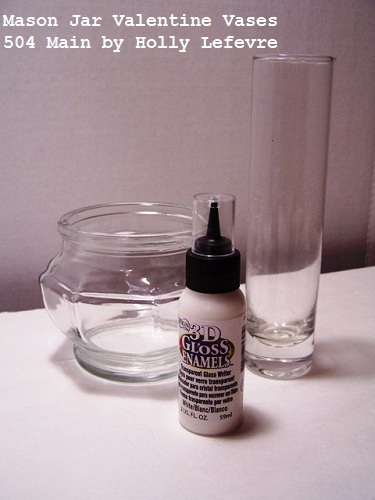 Using quick fluid movements, apply spray paint to jars/vases. It is better to use more coats with a lighter coverage than fewer coats with heavy coverage of paint. It took about 3-4 coats to get the coverage I wanted here. Let dry...and you are DONE! but that is totally optional. Have you entered the DecoArt Giveaway yet? You really should. Just hop over to this post! 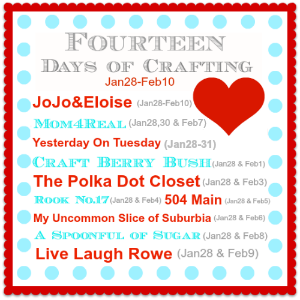 participating in the 14 Days of Crafting Love. but I continue to use them because they are awesome! 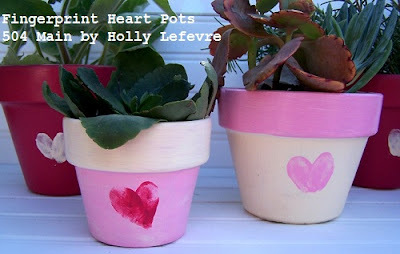 Holly I love this idea! I'm pinning it and I will be giving this one a try! This is a great idea Holly...haven't seen it before...Mariaelena...come on over for a visit! These are really pretty. 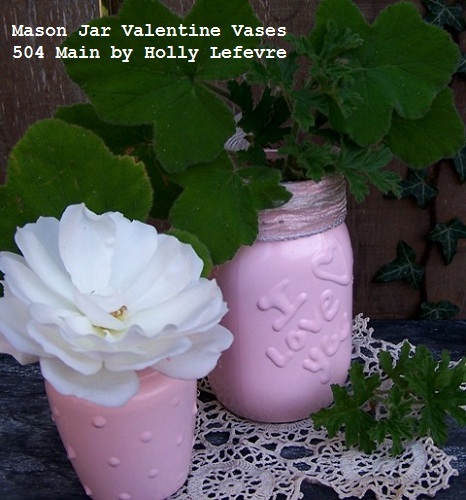 What a great way to jazz up a plain jar or vase. I'm partial to polka-dots, so I really like that one. These are fun...gotta share with my nieces. They will love this! 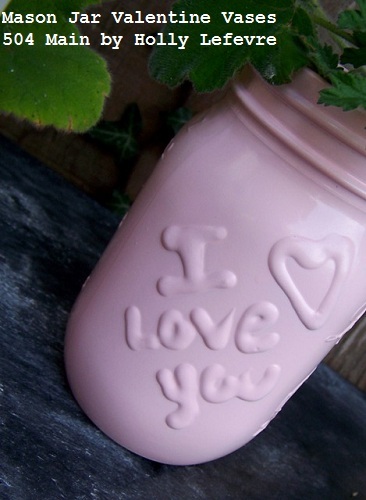 You know I love anything with a mason jar and these are lovely! 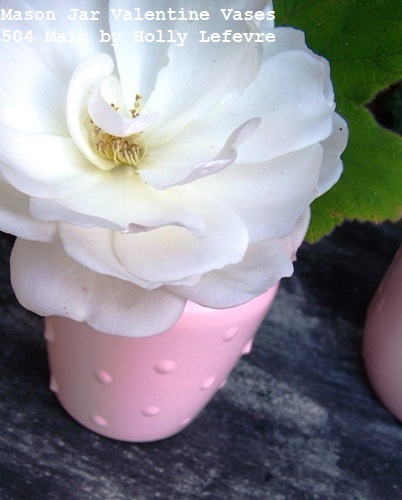 That is a fabulous shade of pink, Fairytale Pink, and this is a cute project. Sweet craft! 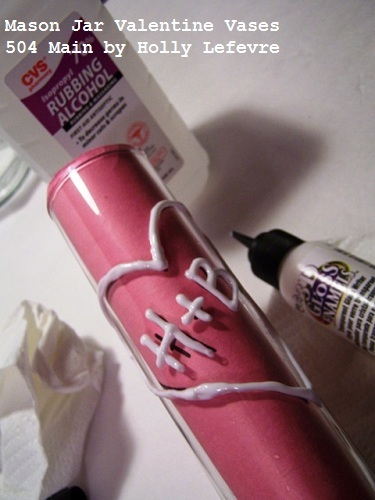 I keep forget about this "puffy" type paint - gotta get some. 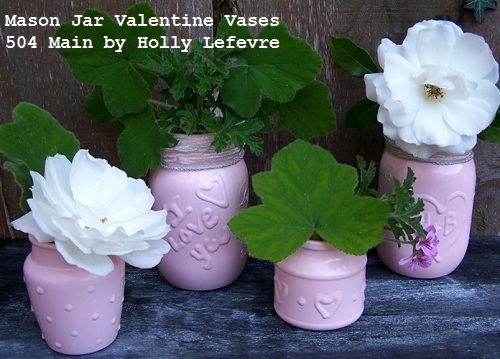 Love these vases Holly! So cute and that pink is so sweet! This is such a great idea! Love it!! Hope you have a wonderful week! These are awesome Holly! Love them!